OpenMP, is an an API that enables direct multi-threaded, shared memory parallelism. See here for a nice OpenMP tutorial. A good introduction of OpenMP can be found here. See here for wiki intro to OpenMP. OpenMP uses a portable, scalable model that gives programmers a simple and flexible interface for developing parallel applications for platforms ranging from the standard desktop computer to the supercomputer. An application built with the hybrid model of parallel programming can run on a computer cluster using both OpenMP and Message Passing Interface (MPI), such that OpenMP is used for parallelism within a (multi-core) node while MPI is used for parallelism between nodes. There have also been efforts to run OpenMP on software distributed shared memory systems, to translate OpenMP into MPI and to extend OpenMP for non-shared memory systems. Writing the hello world code in C is the same everywhere. There are only minor differences in the code. #pragma omp parallel // specify the code between the curly brackets is part of an OpenMP parallel section. Save the code as anyname.c. Now let’s compile the code. In your terminal, cd to the path where the c script you just created is located. If there is any problem in the code, you must fix it and compile again. Now to next (big) step . you will find out that the hello world prints out as many times as your thread number. Here I will just talk about how to compile cpp code, the other part with OpenMP is the same as c code, except for: need to change .c to .cpp and gcc to g++. Make sure your terminal is cd to the folder where you have saved your .cpp file. You don’t install OpenMP. OpenMP is a feature of the compiler. Check that the compiler you are using implements OpenMP, which is an API for parallel programming in C/C++/Fortran. Check with the OpenMP website, openmp.org for a list of compilers and platforms that support OpenMP programming. This post introduces how to read file from line 2 in Python. Note: If you need the header later, instead of next(f) use f.readline() and store it as a variable. Or use header_line = next(f). This depends on how you installed TensorFlow. Note that python is symlinked to /usr/bin/python3 in some Linux distributions, so use pythoninstead of python3 in these cases. pip list | grep tensorflow for Python 2 or pip3 list | grep tensorflow for Python 3 will also show the version of Tensorflow installed. pip list | grep tensorflow will also show the version of Tensorflow installed. and installed TensorFlow from source for Python 2 (not in a virtualenv). How to find which version of TensorFlow is installed in my system? This post provides an introduction to Jupyter and the comparison between Jupyter and JupyterHub. Jupyter is a browser-based interactive notebook for programming, mathematics, and data science. 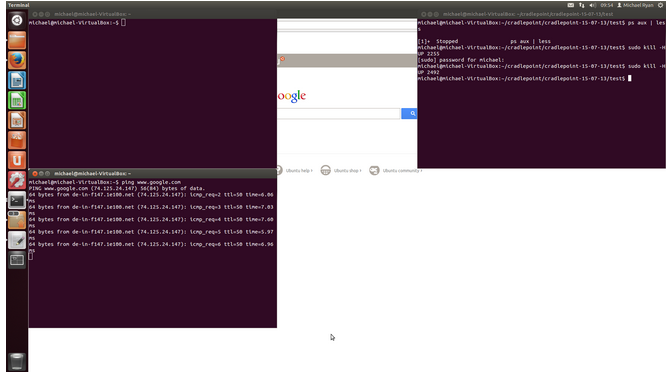 It supports a number of languages via plugins (“kernels”), such as Python, Ruby, Haskell, R, Scala and Julia. JupyterHub: a multi-user server, manages and proxies multiple instances of the single-user Jupyter notebook server. convenient for debugging – does not need to rerun the whole script when debugging a small fragment of the code. It messes with your version control. The notebook opens a http port. Pray to lord it will not land on 0.0.0.0 host. In that case the whole universe has access to your notebook and thus to your system. I already installed GPU TensorFlow from source for Python 2 (see this post), and now I would like to also install GPU TensorFlow for Python 3 on the same machine using Virtualenv. Virtualenv is a tool to keep the dependencies required by different Python projects in separate places. The Virtualenv installation of TensorFlow will not override pre-existing version of the Python packages needed by TensorFlow. See here for a detailed introduction of how virtualenv works and some basic usage. # Requires CUDA toolkit 8.0 and CuDNN v5. 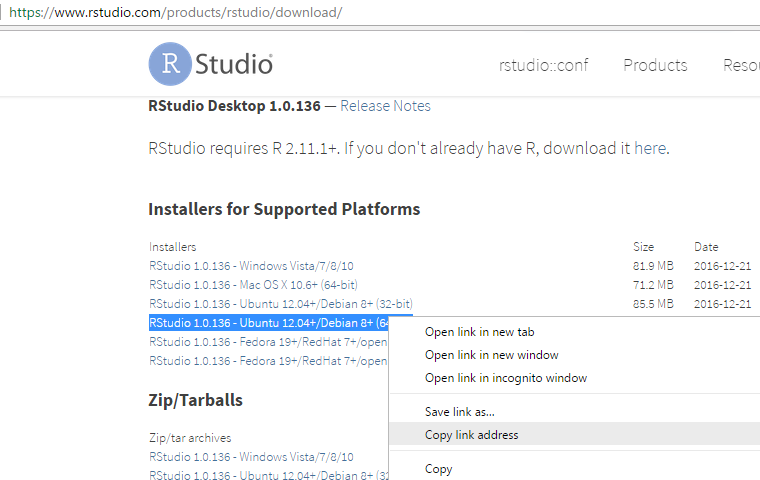 For other versions, see "Installing from sources" below. Note that when I used the .whl file I built to intall tensorflow into the virtualenv, I met this error. So I ended up installing the binary file from this page. tensorflow-0.12.1-cp27-cp27mu-linux_x86_64.whl is not a supported wheel on this platform. After the install you will activate the Virtualenv environment each time you want to use TensorFlow. With the Virtualenv environment activated, you can now test your TensorFlow installation. In your virtualenv, open a python session and type import tensorflow as tf. When you are done using TensorFlow, deactivate the environment. $ source ~/tensorflow-venv3/bin/activate  # If using bash. (tensorflow-venv3)$  # Your prompt should change. You can test whether both TensorFlow installed in python 2 and python 3 works. See below for my example. Installing CUDA TK 8 and Tensorflow on a Clean Ubuntu 16.04 Install (Dec 26, 2016) – this one was not installing from source. I installed GPU TensorFlow from source on Ubuntu Server 16.04 LTS with CUDA 8 and a GeForce GTX 1080 GPU, but it should work for Ubuntu Desktop 16.04 LTS. In this tutorial I will be going through the process of building the latest TensorFlow from sources for Ubuntu Server 16.04. TensorFlow now supports using Cuda 8.0 & CuDNN 5.1 so you can use the pip’s from their website for a much easier install. In order to use TensorFlow with GPU support you must have a NVIDIA graphic card with a minimum compute capability of 3.0. Open a terminal by pressing Ctrl + Alt + T.
Note that if you have a monitor connected to your server, be sure to disconnect it before you start to install the NVIDIA drivers. Otherwise, it may cause trouble when you reboot your server after you install your NVIDIA drivers. You can reconnect your monitor after you successfully install the NVIDIA drivers. Once installed the driver restart your computer. You can use the command below to reboot the server from command line. If you experience any troubles booting linux or logging in: try disabling fast & safe boot in your bios and modifying your grub boot options to enable nomodeset. You can use the following command to get various diagnostics of the GTX 1080. To install the Nvidia Toolkit download base installation .run file from Nvidia website (download the .run file. NOT THE DEB FILE!!). Also make sure you select yes to creating a symbolic link to your cuda directory. Install NVIDIA Accelerated Graphics Driver for Linux-x86_64 361.62? 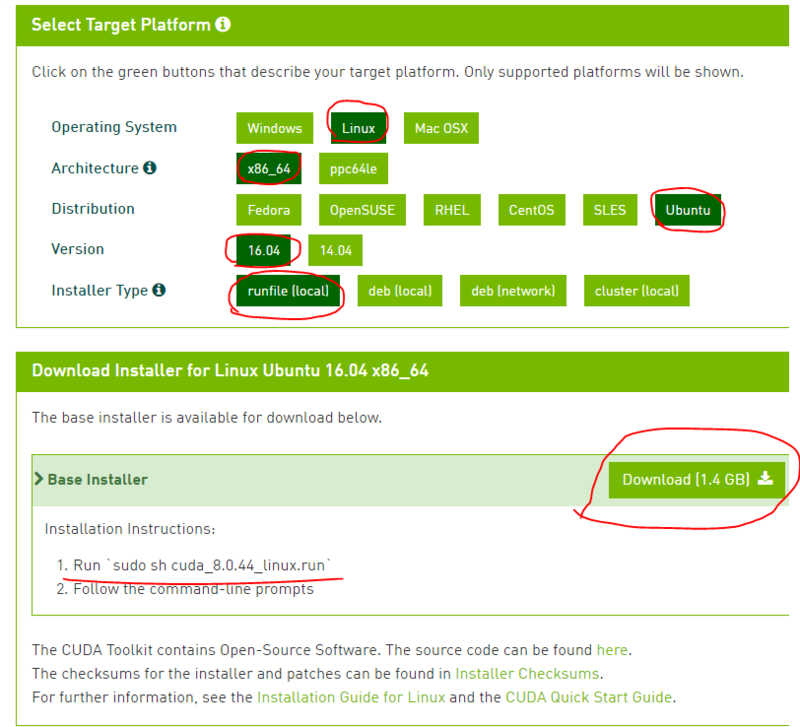 Install the CUDA 8.0 Toolkit? Install the CUDA 8.0 Samples? INFO: Starting clean (this may take a while). Consider using –expunge_async if the clean takes more than several minutes. Warning Resource Intensive I recommend having at least 8GB of computer memory. then issue the following command according to you are using python or python 3. The directory ‘/home/youraccountname/.cache/pip/http’ or its parent directory is not owned by the current user and the cache has been disabled. Please check the permissions and owner of that directory. If executing pip with sudo, you may want sudo’s -H flag. I would suggest just ignore this – sometimes after doing upgrade there might appear some trouble because of dependencies. Finally, time to test our installation. TensorFlow also has instructions on how to do a basic test and a list of common installation problems. You should now have TensorFlow installed on your computer. This tutorial was tested on a fresh install of Ubuntu Server 16.04 with a GeForce GTX 1080. Dive Into TensorFlow, Part III: GTX 1080+Ubuntu16.04+CUDA8.0+cuDNN5.0+TensorFlow (Jul 18, 2016 on textminingonline.com) – this post has very detailed explanations. This post introduces two ways to open multiple files in Python. “open” # need to close the file when use open.